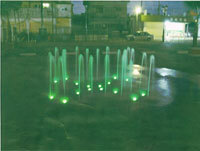 This fountain is in a public park located in Okinawa. 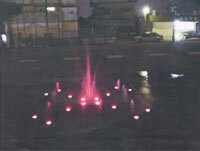 Our A'star Light is used to illuminate the fountain. The "Hana-Toro" is highlighted with "Andon" in Higashiyama. 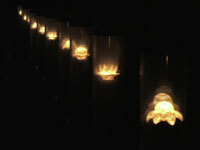 Our parts are used in "Kou-Ka". 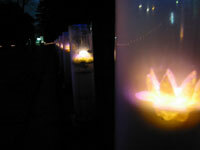 "Kou-Ka" means a glimmering flower made by Japanese paper. It is glimmering by combining UV LEDs and phosphor.